So, you’ve finally purchased that modern $100 router. It’s got all those shiny new features you’ve always wanted, including dual band support, guest networks, a powerful hardware-based firewall, and so much more. And yet, for some strange reason, there are several areas in your home where the Wi-Fi signal is absorbed by a virtual blackhole – and a huge one! Still, the signal is powerful enough only 1-2 feet away from these dead zones. But why is this happening? Aren’t these modern routers supposed to deal with the problem for good, providing enough Wi-Fi signal power to cover the entire house? Often times, the main problem is the limited radio range. Some routers are equipped with better Wi-Fi antennas. Sadly, other manufacturers fit their routers with low gain antennas, which limit the signal range to 20 feet or so. Things get even worse if your router is set up to operate on the 5 GHz band, where the Wi-Fi signal lacks the power that’s needed to penetrate real-world obstacles: walls, metal structures, furniture, and so on. Businesses tend to solve most of these problems by installing lots of access points, with the goal of maximizing the range of the Wi-Fi signal. You could follow the same plan, of course, but before spending your money on new hardware, it is wise to verify if the problem isn’t caused by your neighbors’ Wi-Fi networks, which may be operating on the same channel with your network, or on a channel that’s close to yours. Few people are aware of this, but many Wi-Fi channels overlap. Only channels 1, 6, 11 and 14 can be used for four different networks without interfering, for example. Take a good look at the diagram below to see why this happens. This means that even if your neighbor runs his Wi-Fi network using the sixth channel, the signal will interfere with your network that’s running on the fifth channel, causing those unwanted dead zones. To fix the issue, download a Wi-Fi analyzer application, install it on your phone, and then determine the least crowded channel. Log into your router, and then choose that channel for your network. It may be tempting to choose a channel on the 5 GHz band, because the technology is newer, so the number of available channels is much greater. Still, as mentioned above, higher frequency signals aren’t able to propagate properly, because they tend to bounce off surfaces, rather than penetrate them. Apparently, you can build a range extender by making use of a USB adapter that’s mounted in a signal concentrating dish, and then use a long RP-SMA extension cable to connect it to the network. At least this is what Instructables recommends! I did not try to recreate their project, but it should work. What does work for sure, because I’ve tested this method several times, is to move the router closer to the area that’s got those dead Wi-Fi zones. If that is impossible, at least try to move the router higher – place it on top of a cabinet, for example. Some people have to deal with perplexing situations, in which their devices can connect to the Wi-Fi network without problems in the morning, for example, but are unable to do that in the evening. If this has happened to you as well, it is important to understand that the main cause of the problem is the interference which can be caused by various electronic devices. Our homes – and our neighbors’ homes! – have many devices that generate 2.4 GHz waves, the same frequency that’s used by our routers. 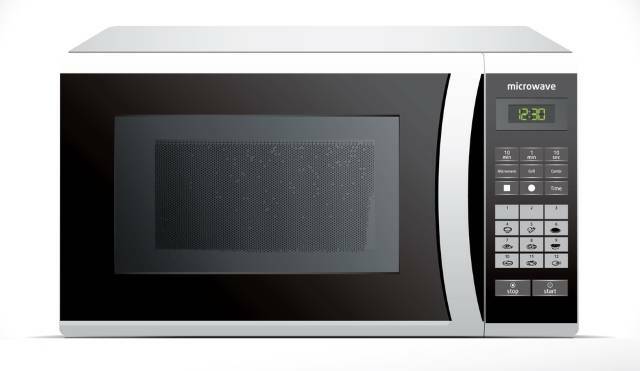 This means that when your daughter throws a popcorn bag into the microwave oven, for example, she starts a wave source that will cause interference problems in your Wi-Fi network. As you can imagine, things like these are very hard to predict, but fortunately there’s an easy fix for them: use a signal extender to boost Wi-Fi range. A decent signal extender will cost about $50, and some manufacturers claim that their products can triple the signal range. Place the signal extender between your router and the dead zone; this way, the weak signal will be amplified and transmitted towards the dead spots, which will be revived. Dead zones are almost always inevitable. But the good news is that they can be easily brought back to life by following the steps highlighted in this article.